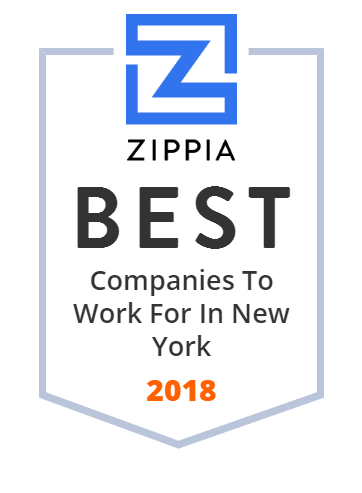 We hand-curated a list of the biggest companies to work for headquartered in and around New York using data on salaries, company financial health, and employee diversity. Kohlberg & Company is a private equity firm that focuses on leveraged buyout transactions founded by industry pioneer Jerome Kohlberg, Jr.
EXL Service is an operations management and analytics company. The company used to own the restaurant chains Pollo Tropical, Taco Cabana, and Carrols. Hotel Acquisition Company, LLC is based in Annapolis, Maryland. As of May 3, 2016, Hotel Acquisition Company, LLC operates as a subsidiary of KIHR BUYER, LLC. The NewYork-Presbyterian Hospital is a nonprofit university hospital in New York City affiliated with two Ivy League medical schools: Columbia University Vagelos College of Physicians and Surgeons and Weill Cornell Medical College. Roadhouse Holding Inc. was founded in 2010 and is based in New York, New York. Millennium & Copthorne Hotels plc is a global hospitality management and real estate group, with 120 hotels in 79 locations in Asia, Australasia, Europe, the Middle East and North America.